Tag Archive | "boston celtics"
When this NBA season started, everyone was excited for a possible finals rematch between Lakers and Celtics. However, after their last few games, this possibility is already in jeopardy. 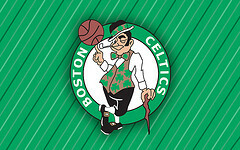 Los Angeles Lakers were beaten on many of their games; and Boston Celtics did really badly. Sure, this has already happened before so many times. Both teams do not perform well during the season, but they still end up neck-to-neck with each other during finals. Game analysts feel that they won’t be able to work their magic this time. The Lakers may do something about it but the Celtics seems to be stuck. Charles Barkley, TNT analyst, said that Celtics have lost a couple of bad games and they have not recovered since they traded off Kendrick Perkins. On Sunday, Boston landed on the third place when Miami beat them 100 to 77. Barkley believes that the Celtics is wounded by the Perkins trade. He seemed to be the “identity” of the team, and with him gone, they are lost. Yes, Celtics played fairly well during the beginning of the season even when Perkins had to rest due to an injury but they were consoled by the fact that he could be back. Regular season ends today and the team has three full days to regroup for the playoffs. Lakers may also be in trouble after losing all of their five last games but nobody’s worried about them. Lakers have champs and they have veteran experience so they should be good. No Eastern team can baffle Celtics but unless they pull themselves together and get their old spirits back, there will be no rematch after the playoffs. In this year’s NBA All Star Game one team from the Eastern Conference is more heavily represented than any other team in the game; the Boston Celtics. But there’s one notable stipulation. None of the four Celtics on the roster are listed as starters. The All Star Bostonians include; Ray Allen, Kevin Garnett, Paul Pierce, and Rajon Rondo. But despite the fact that none of the Celtics are listed as starters in the game, Boston’s regular season has been going just fine. Going into the All Star game the team has the best record in the NBA with a win percentage of 74.1%. All four Celtic players have been doing their part on their own team this year. Allen has been averaging more than 17 points a game, Garnett puts away nearly 15 points per game, Pierce contributes nearly 19 points per game. and Rondo has been adding nearly 11 points. By comparison, LeBron James of the Miami Heat averages 26.1 points per game. In any sport there is always some debate over what is more effective in the end, superstar scorers like James or more even scoring and teamwork like the Celtics. The Heat happens to be right on Boston’s tail in the regular season with a win percentage of 73.2%. While being selected to the All Star team is certainly an honor; it’s the regular season that will really show the strength of your team. Whether starting on the court or on the bench the rosters on both sides look great, fans have a great game of basketball in store. Bosh is back to the All-Star game as an Eastern Conference reserve along with Dwayne Wade and Lebron James. The announcement made on Thursday gave Miami Heat three players in the league’s midseason showcase for the first time. Some speculations were made about whether Bosh would get the vote for the All-Star team, but the Heat power forward never worried. Bosh averaged 18.4 points and 8.1 rebounds before their Friday game in Charlotte. The figures were simply worth an All-Star consideration. However, his value to the team goes far deeper than what it appears on the stat sheets. Coach Erik Spoelstra said James might be the reigning MVP in the league. But, Bosh is more significant to Miami. He called Bosh as their most important player. He secures defense and facilitates offense in the team. This is Bosh’s sixth All-Star trip in eight seasons- his fourth as a reserve. However, this vote came without any display of past appearances. Before the 2008 game, he filmed some videos that were posted in YouTube in an effort to attract fans to vote for him as a starter. This time, he simply sat back and waited for the official announcement. The reserves were chosen by the head coaches in each conference. The head coaches had to vote for two guards, two forwards, a center and two players regardless of position. The other East reserves that will accompany Bosh are Atlanta’s Joe Johnson and Al Horford. Kevin Garnett, Karl Malone, Jeremy West and Shaquille O’Neal were selected for the 14th straight year. Ray Allen, Paul Pierce and Rajon Rondo will also accompany their Boston Celtics teammate. For the West, the reserves are San Antionio Spurs’ Tim Duncan and Manu Ginobili. Forwards Pau Gasol of Los Angeles Lakers and Dirk Nowitzki of Dallas, and guards Rusell Westbrook of Oklahoma City and Deron Williams of Utah. Westbrook joins Blake Griifin of Los Angeles Clippers as the lone fist-time selections. The game will be held on Feb. 20 at Los Angeles. Miami Heat beat the New York Knicks with a final score of 106-98 on Tuesday. This is the 15th win for the Heat in 16 games. 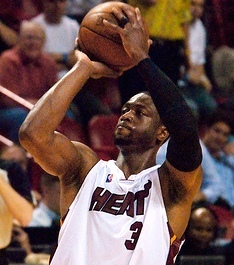 Miami’s shooting and point guard Dwayne Wade scored 40 points that helped the Heat beat the Knicks durring the game. After the first quarter, the Heat gained a 34-18 advantage with the assistance of LeBron James’ spectacular game. However, it was one of Miami’s less commended player that made a dominant role in the early part of the game. Lithuanian center Zydrunas Ilgauskas scored 12 points and grabbed nine rebounds in the first quarter. Miami head coach Erik Spoelstra told Big Z that he would have possibly made a 28 point and 17-rebound game only if he had a coach that would have placed him back in the game. He played very efficiently and more minutes than they had planned. Wade took the leading role in the second quarter. 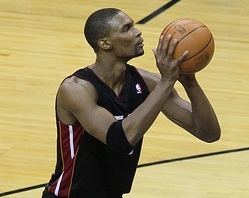 He finished the first half with 17 points and the Heat had a comfortable 53-40 advantage at halftime. In the third quarter, the New York Knicks were able to move up to 61-55, but that only encouraged further dominance by Miami’s Wade and Chris Bosh. The New York Knicks, which are known for their determination to win games, fought back until there were two minutes left for them to score a three-point shot to tie the game. The Knicks were trailing behind from 97-94 score. Spoelstra said that he warned his team abut the New York’s trademark determination. He told the team that their 22-point lead against the Knicks is only equivalent to seven-point lead against some other teams. However, Miami’s “big three” James, Wade and Bosh made a turn to ensure that the late scare will not become a shock. Miami followed behind the Boston Celtics at the top of the Eastern Conference while Knicks slipped lower. Los Angeles Lakers center, Andrew Bynum informed the public through LakersTV that he might be missing NBA’s first month of the season due to his undergoing rehabilitation for his right arthroscopic surgery. 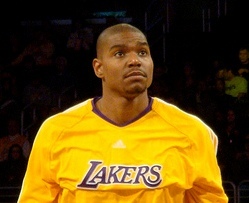 Bynum had primarily hoped for his full recovery by the commencement of the NBA 2010-2011 season on October 26, 2010. However, his doctors advised him to give more time for his knee’s rehabilitation. In the middle of the 2007-2008 season, this seven-foot center had suffered from a left kneecap injury where he then missed the rest of the NBA season and playoffs. He was able to come back at the start of 2008-2009 season, but on January 2009 he had incurred another injury on his right knee. Andrew Bynum had his surgery last July 28th to repair the injury on his right knee. He had a tear on his right lateral meniscus, a band of fibrous cartilage that is connected to the bone. His doctors say that he will need another four weeks for complete recovery and he will be back to train again. 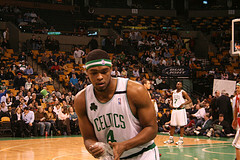 The Los Angeles Lakers had won the NBA championship last season against the Boston Celtics, and this was Bynum’s second championship as part of the team. Bynum hopes that he will be back on the court by the end of November. That will give him two months for rehabilitation, which is just enough according to the player. Several fans are looking forward to Bynum’s comeback at NBA together with his team, the Los Angeles Lakers.